Down To Earth™ Kelp Meal 1-0.1-2 is pure Ascophyllum nodosum seaweed from the clean, cold waters of the North Atlantic Ocean. 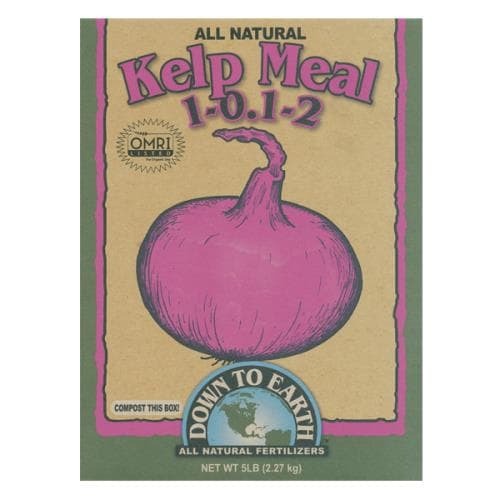 Hand-harvested, carefully dried and finely milled, DTE™ Kelp Meal 1-0.1-2 is an ideal nutrient supplement for all types of vegetables, herbs, flowers and perennials. Down To Earth™ Kelp Meal is pure Ascophyllum nodosum seaweed from the clean, cold waters of the North Atlantic Ocean. Hand-harvested, carefully dried and finely milled, our Kelp Meal is a rich natural source of Potash and is ideal for early Spring or Fall application.